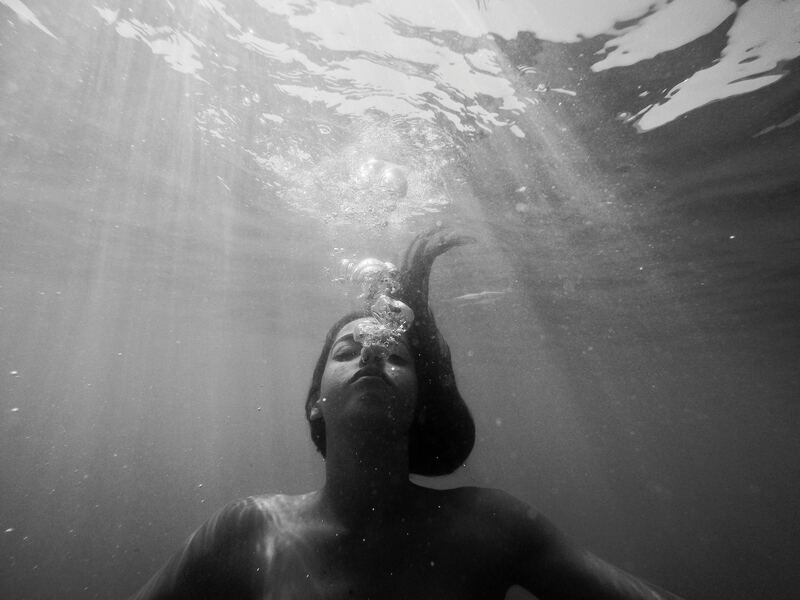 Have you ever been frustrated or judgmental about how much you breathe? Have you ever chastised yourself for breathing too much or annoyed that you have to breathe so heavy after exerting yourself? We take for granted and accept that breathing is a process in our bodies that we do without thinking and helps to naturally protect us and keep us alive. When then, do we spend so much time making our appetites wrong? Why do we spend so much time trying to reduce, change, ignore, berate and bully our hunger and appetites when this too is a natural, intrinsic process that every human being possesses to help us stay alive and thrive. 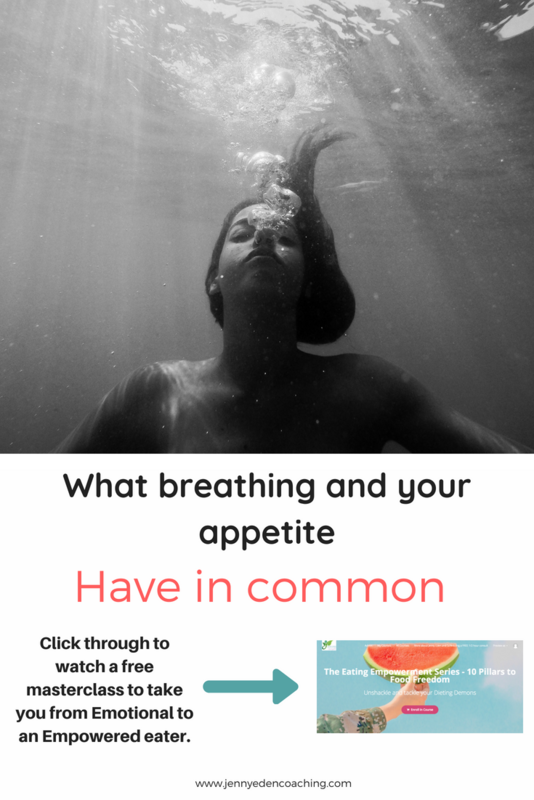 Unlike your appetite, you can go about your day and not really think about breathing so much except if you’re under water or are in the throes of a panic attack, or meditating. We accept that the quality of our breathe will change depending on the environment or circumstance. But, when it comes to our appetites, we seem to operate from a separate set of rules. Have you ever said to yourself or done one of the following? It’s not lunchtime yet, so even though I’m hungry I’ll just wait. Darn, I shouldn’t be hungry again already! Ugh, why am I starving all the time? (insert nutritional or diet expert name here) said to wait 4 hours before each meal and snack so even though I’m starving, I’m going to distract myself until it’s time. I’m stuffed! Oh wait…look at that pie she’s serving. The bottom line is that we think we know better than our bodies when it comes to hunger and appetite and thus try to manipulate and control the signs and signals it gives you or ignore them all together. Related Post: Are you an Empowered Eater? Decrease muscle tissue growth to save energy. Increase fat storage (in case a famine is coming). Lower your leptin levels making you starving all the time in order to force you to eat. Increase stress hormones like norepinephrine, cortisol and adrenaline which keep your body in a low-level stress response daily and keeps you even further from really understanding and accepting your hunger. Create inflammation in your body which makes you hold on to weight and makes it even harder to digest and assimilate the nutrients from food. I know food sometimes feels like the enemy and I know your appetite scares you frustrates and angers you sometimes because it seems to have a life of its own causing overeating, regret and fear. But the truth is that your appetite is there to protect you. Your body only wants you to feel amazing and thrive. We’re getting in our own way. And we can stop doing it. Eat with intention and bring curiosity to why the hunger and cravings are there now. Trust, respect and communicate with your body. Make your body right and act accordingly. Want to learn more about how to become a mindful, intuitive and empowered eater? Please watch this masterclass on how to go from an Empowered to Emotional Eater and learn to love your appetite as a divine sign of your aliveness and ability to make choices that are loving, nurturing and removed of food fear and guilt.